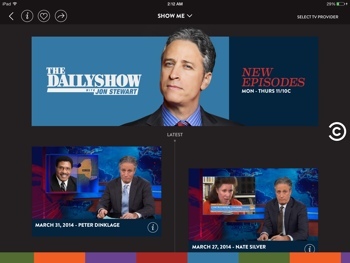 Cable network Comedy Central has released a free new iOS app of the same name that offers next-day access to a handful of the network’s most popular shows regardless of whether you’re subscribed to pay cable TV. The easy-to-use app, released yesterday, offers a handful of recent episodes of The Colbert Report, The Daily Show with Jon Stewart, South Park and the new social media-centric show @Midnight. Episodes from other popular shows like Workaholics, Key & Peele and Broad City are also available, but only after authenticating with your cable TV provider. You can find the Comedy Central app for the iPhone, iPad and iPod touch on the Apple App Store. You must be 17 years of age or older to download due to the mature content.